Who invented Video Games? The name of the person credited with inventing Video Games is William Higinbotham (1910 - 1994). William Higinbotham is not only famous as the American inventor of Video Games but also as a scientist and nuclear physicist. When were Video Games invented? 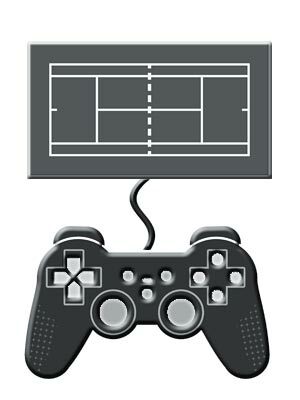 William Higinbotham invented a very simple electronic tennis game called 'Tennis for Two', similar to the classic 1970s Pong game, in 1958. His electronic game was the forerunner to the modern video games industry and he is known as the "Grandfather of Video Games". Video Games were commercialized by the innovative ideas of Ralph H. Baer. Definition of Video Games: Video Games are defined as are electronic computer games, played on personal computers, small handheld devices, video game consoles and arcade games. The player operates a game controller by pressing buttons or using a joystick to manipulate images to perform tasks at various levels of difficulty generating visual feedback on a video device. Fact 1: Who invented Video Games? Video Games were invented by William Higinbotham in 1958 and commercialized by the innovative ideas of Ralph H. Baer. Fact 2: Who invented Video Games? Prior to the invention of Video Games in 1958, various games were available at fairs, restaurants and bars. The first slot machine was developed by Sittman and Pitt in 1891 and pinball machines were invented in 1931 by Automatic Industries. Fact 3: Who invented Video Games? Kids and adults generally played board games as a favorite indoor pastime. There were no home computers in 1958 and many other significant inventions were needed to make it possible to play Video Games at home. Fact 4: Who invented Video Games? Ralph H. Baer, who is often referred to as "The Father of Video Games" invented the first joysticks in 1967 and the first games console in 1972 and the Personal Computer was pioneered by Steve Jobs and Steve Wozniak of the Apple company in 1976. Fact 5: Who invented Video Games? The name of the man who invented the very first Video Game was William Higinbotham, who was born on October 25, 1910 in Bridgeport, Connecticut, United States and died on November 10, 1994. Fact 7: Who invented Video Games? Following his education he worked on the RADAR system at MIT during WW2 from 1941 to 1943 and then went to develop electronics in conjunction with the scientists of the Manhatten Project who were developing the nuclear bomb. Fact 8: Who invented Video Games? In 1947, following the end of WW2, Willy Higinbotham entered the Brookhaven National Laboratory in Upton, New York as a senior physicist and went on to become head of the Instrumentation Division conducting research in nuclear and particle physics. Fact 9: Who invented Video Games? The U.S. government run Brookhaven National Laboratory hosted visitors days and William Higinbotham wanted to make the upcoming 1958 annual event as enjoyable as possible. The science exhibits were interesting but not exciting and he wanted to create something that was imaginative, innovative and fun. Fact 10: Who invented Video Games? William Higinbotham decided to create an interactive electronic game that could be appreciated by everyone, not just scientists. Fact 11: Who invented Video Games? The electronic game had to be relatively simple as he had only two weeks to invent it. He invented, designed and created an electronic game that he called 'Tennis for Two', which was similar to the later video game 'Pong. Fact 12: Who invented Video Games? To create the electronic game 'Tennis for Two' William Higinbotham used an electronic lab instrument called an oscilloscope, that was commonly used to display the waveform of electronic signals, as a small round display screen. Fact 13: Who invented Video Games? The oscilloscope display screen provided a two-dimensional, side view representation of a 'tennis court'. Players used controllers, with buttons and rotating dials, to control the brightly lit 'ball' that left trails as it bounced to either side of the net. Fact 14: Who invented Video Games? The oscilloscope acted as a screen and the controllers were connected to an analog computer. The instruction book that had been provided with the lab's analog computer described how to plot trajectories and bouncing shapes for research purposes and this gave William the idea to create his 'Tennis for Two' game. Fact 15: Who invented Video Games? His electronic game 'Tennis for Two' was included in the exhibits for the labs visitors day on October 18, 1958. 'Tennis for Two' was a great success and people lined up to play the game. Fact 16: Who invented Video Games? William Higinbotham never bothered to patent his electronic game. He did not see it as important in the scheme of things, it was merely a fun distraction for the visitors and not something the US government would be interested in. Fact 17: Who invented Video Games? William Higinbotham continued with his work as a nuclear physicist and witnessed the emergence of the video games industry. His role and signifance to the history of video games was recognised during the 1980's. William Higinbotham died on November 10, 1994 in Gainesville, Georgia, United States. Fact 18: Who invented Video Games? Ralph H. Baer, "The Father of Video Games" began his career developing complex military electronic systems. In 1966 he began to develop an idea for ways of using a standard Television than just watching television broadcasts. Fact 19: Who invented Video Games? Ralph H. Baer's idea was invent interactive games that could be played on the TV set by people in their own homes. In 1966 there over using a standard Television set other than watching commercial television broadcasts. His idea was commercially viable because at this time there were over 40 million TV sets in the United States and millions more in other countries. Fact 20: Who invented Video Games? Ralph H. Baer began to develop his idea of creating a small "game box" to play television games and concentrated on developing sports, maze and quiz games and in 1972 the Magnavox Odyssey, the first commercial home video game console, started the Home TV Game market. Simple sports games were included with console and other types were sold separately with a light gun. Fact 22: Who invented Video Games? In 1978 'Space Invaders', created by Tomohiro Nishikado helped expand the novel video game industry to a global industry. Fact 23: Who invented Video Games? Nintendo caused a sensation when they introduced 'Game Boy', an 8-bit handheld video game device, in 1989. The next great phenomenon was in September 1995 when Sony released the Playstation. Fact 24: Who invented Video Games? In 2001 Microsoft released the 'Xbox' and the 'Xbox Live', an online, multiplayer gaming service, was made available to the Xbox system in November 2002. The Online capabilities of 'Xbox Live' allowed gamers to develop their own communities and included innovative features such as Virtual avatars, Voice and Video chat and a Friends list. Fact 25: Who invented Video Games? The Online video games, played through the Internet or another computer network, paralleled the evolution of home computers and the World Wide Web. Advancements in mobile technology and the Smartphone revolutionized the industry with the introduction of video games like 'Angry Birds' which became a household name following its release in 2011. Technology marches on and we all look forward to new, entertaining and innovative gaming. Who Invented Video Games - William Higinbotham - Ralph H. Baer - Inventor - Invention - Video Games Definition - Meaning - Famous - Important - History of Video Games - Timeline of Video Games - Innovation - Significant - Development - Toys and Games - First - Definition - Kids - Facts about Video Games - Information - Info - Who invented Video Games - Dates - When - Why - Impact - Purpose - Use - New - Old - Amazing - Best - Definition - Meaning - Awesome - Cool - American - History - Timeline - Who invented Video Games?